Collier, William Miller. La primera mision de los Estados Unidos de America en Chile. Santiago de Chile: Imprenta Cervantes, 1926. Cox, Henry Bartholomew. Reasons for Joel R. Poinsetts Refusal of a Second Mission to South America." Hispanic American Historical Review 43 (August 1963): 405-8. Fuentes Mares, Jose. Poinsett: historia de una gran intriga. 1951. Reprint, Mexico: Ediciones Oceano, 1982. Gallardo, Guillermo. Joel Roberts Poinsett, agente norteamericano, 1810-1814. Buenos Aires: Emece Editores, 1984. Gamboa, Ramon. Representacion del ciudadano sindico Lic. Ramon Gamboa al Avuntamiento de esta capital suplicando pida al gobierno supremo despida de la replica a Mr. Joel Poinsett, enviado de los Estados Unidos del Norte. Mexico: Impr. del C.A. Valdes, 1829. Gaxiola, Francisco Javier. Poinsett en Mexico (1822-1828) notas de un libro inconcluso. Prologo de Jose Elguero. Mexico: Editorial Cultura," 1936. Hruneni, George A., Jr. Palmetto Yankee: The Public Life and Times of Joel Roberts Poinsett, 1824-1851." Ph.D. diss., University of California, Santa Barbara, 1972. Kummer, Frederic Arnold. Courage Over The Andes. Illustrated by Armstrong Sperry. Chicago: The John C. Winston Company, 1940. . Poinsetts Mission to Mexico. New York: N.p., 1913. Manning, William Ray. Poinsetts Mission to Mexico. [New York: N.p., 1913]. 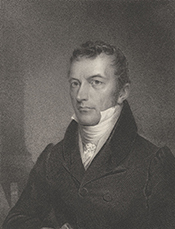 Parton, Dorothy M. The Diplomatic Career of Joel Roberts Poinsett (1779-1851)." Ph.D. diss., Catholic University of America, 1934. Poinsett, Joel Roberts. Discourse, on the objects and importance of the National Institution for the promotion of science. Washington: P. Force, printer, 1841. . Notas sobre Mexico 1822. Mexico: Editorial Jus, 1950. . Notes on Mexico, made in the autumn of 1822. Philadelphia: H. C. Carey and I. Lea, 1824. . Notes on Mexico, made in the autumn of 1822. London: J. Miller, 1825. Reprint, New York: Praeger, . . Oration, on the Life and Character of Andrew Jackson, delivered on the 4th of July, 1845. Greenville, S.C.: N.p., 1845. . Speech of Mr. Poinsett, of S. C., on the tariff bill. Washington: Printed by Gales & Seaton, 1824. . Statement of the comparative advantages of Charleston, over the cities south of New York, which are constructing rail roads and canals to facilitate their communication with the country west of the Alleghany Mountains. Charleston, S.C., J. S. Burges, 1833. . U.S. Embassy. Mexico. Esposicion de la conducta politica de los Estados-Unidos. Mexico: Impr. en la Ex-inquisicion, a cargo de M. Ximeno, 1827. . U.S. War Department. Report from the Secretary of War, in compliance with a resolution of the Senate of the 14th of October, 1837, in relation to the protection of the western frontier of the United States. Washington: Blair and Rives, printers, 1838. . Speech of Mr. Poinsett, of S.C., on the tariff bill. Washington: Printed by Gales and Seaton, 1824. . Statement of the comparative advantages of Charleston, over the cities south of New York, which are constructing rail roads and canals to facilitate their communication with the country west of the Alleghany Mountains. Charleston, S.C.: J. S. Burges, 1833. Putnam, Herbert Everett. Joel R. Poinsett: A Political Biography. Washington: Mimeoform Press, 1935. Rippy, James Fred. Joel R. Poinsett, Versatile American. 1935. Reprint, St. Clair Shores, Mich.: Scholarly Press, 1970. Salado Alvarez, Victoriano. Poinsett y alqunos de sus discipulos. Mexico: Editorial Jus, 1968. Stillé, Charles Janeway. The Life and Services of Joel R. Poinsett. Philadelphia: N.p., 1888. Stoney, Samuel Gaillard, ed. The Poinsett-[James B.] Campbell Correspondence." South Carolina Historical and Genealogical Magazine 47 (1941): 31-52, 122-36, 149-68; (1942): 27-34. Weber, Ralph E. Joel R. Poinsetts Secret Mexican Dispatch Twenty." South Carolina Historical Magazine 75 (April 1974): 67-76. . Your Obedient Servant, Joel R. Poinsett." Prologue 2 (Winter 1970): 185-88.